The Ontario Haskap Association is a voluntary non-profit organization representing Haskap crop growers in Ontario. 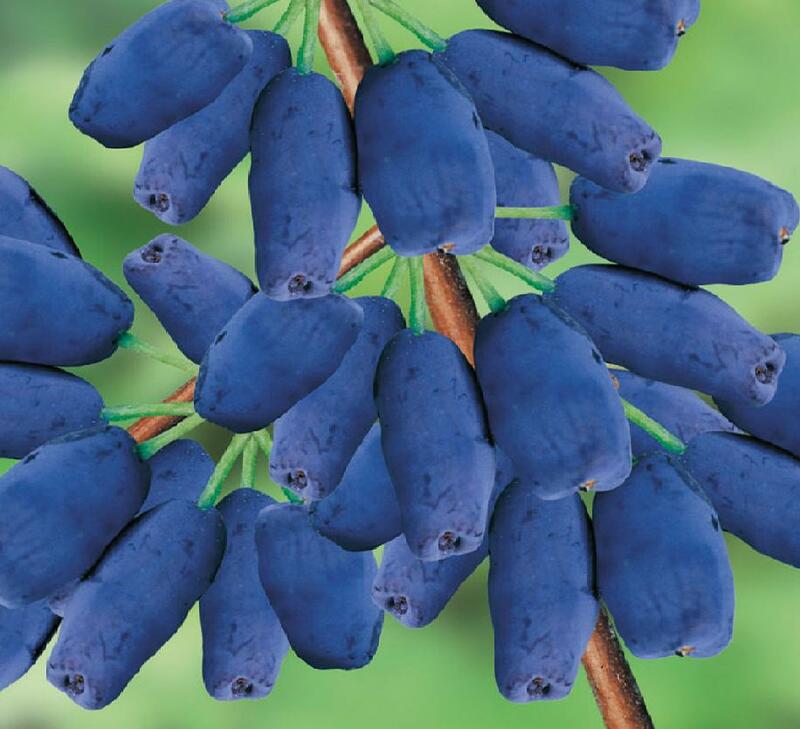 Haskap, known as Honeyberry, or the Blue Honeysuckle berry is an exciting new berry crop for Ontario. Packed with antioxidants and bursting with a sweet-tart blueberry-raspberry flavour, the Haskap is ideally suited for Ontario's growing climates and is suitable to zone 2. The wild variety of the plant, the Blue Honeysuckle is circumpolar, native to northern Boreal regions around the world and grows near wetlands of Boreal forests.What’s particularly exciting about commercial blue honeysuckle berry production is that it is quite suitable as a commercial crop in Ontario because of its winter hardiness, resistance to pests and very high antioxidant levels. With some of the world's richest soils and temperate climate, Ontario is known as one of the premier fruit producing regions in the Canada. Haskap is no exception, and thrives in our nutrient dense soils and continental climate. The long, hot sunny days and cool nights in Ontario create some of the the sweetest, juiciest haskap berries in the world. Since 2010 Ontario has been on the forefront of haskap production in Canada, and is home to the largest farms in Eastern Canada. Our Ontario producers have frozen haskap, haskap puree, fresh haskap (in season) and a range of haskap products from dried haskap, juices, puree, and a variety of value added products. Taste the Difference Home Grown Makes! Try Ontario Haskap today to add a flavor and nutrient punch to your favorite foods. With a blueberry raspberry taste and a sweet aroma, juicy haskap berries are an ideal way to enjoy Canada's fruit bounty. Lonicera caerulea (Blue-berried Honeysuckle or Sweetberry Honeysuckle) is a honeysuckle native throughout the cool temperate Northern Hemisphere. Haskap is a deciduous berrying shrub that grows 1.5-2m in height. With recent varieties developed by the University of Saskatchewan, the plant has been cultivated throughout Eastern Europe and Asia since the early 1900's. 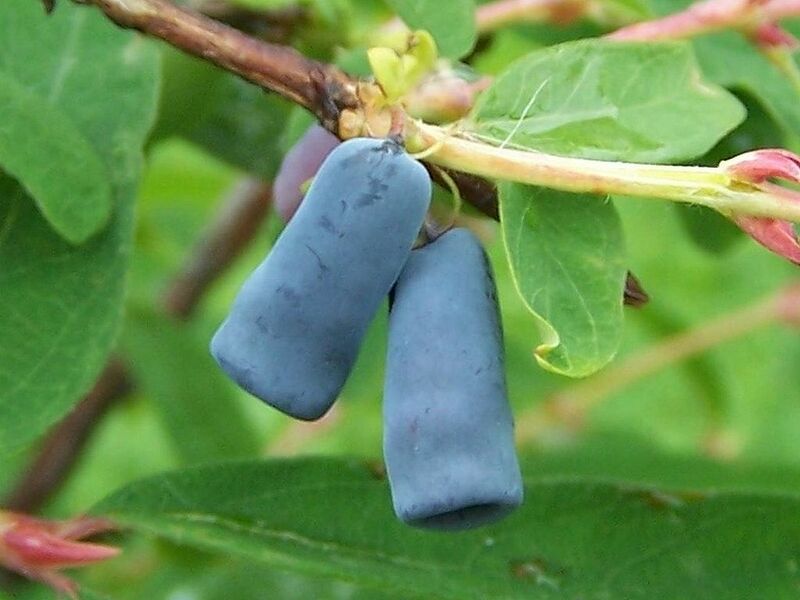 Haskap, otherwise known as Honeyberry (in the USA) and Blue Honeysuckle berry in the rest of the world, has few pests, and has varieties that are the first fruit crop to ripen each season, earlier than strawberries by a few weeks. The plant doesn’t sucker, has no thorns, needs little pruning in early years and tends to fruit when very young. Many haskap varieties blooms from late April to early May. Dormant plants have survived with the temperature falling to as low as -45 C, and blossoms have withstood temperatures to as low as -7 C and will withstand freezing without damage. It is an excellent complement to other berry crops, such as saskatoons, blueberries and raspberries, because many varieties ripen in June, while these other crops ripen later in the year. Haskap is a very flavorful frost-tolerant fruit with varieties suitable for commercial processing and quick freezing technologies, making it an ideal choice for the Ontario fruit grower's orchard. Take a look at our recipes, stop in to our online store to buy haskap and haskap plants, and come visit us. Bon appétit!